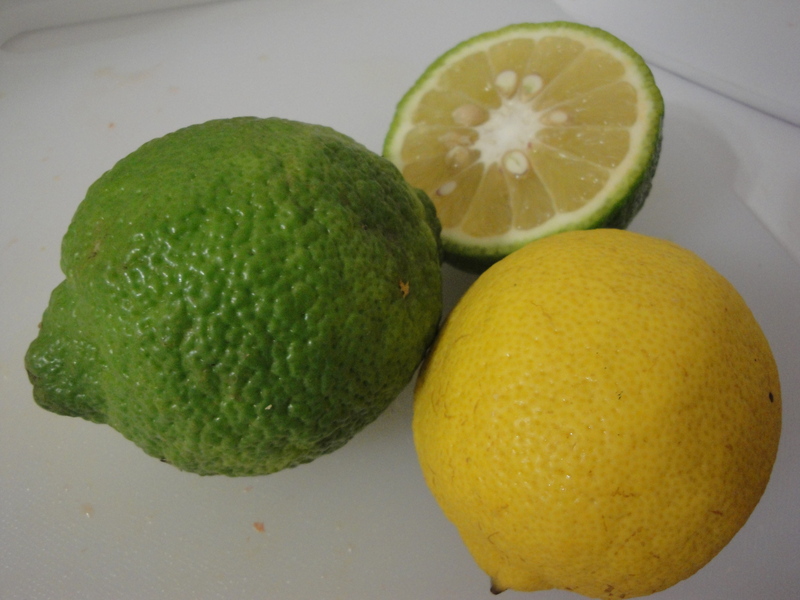 …Figure Out If They’re Lemons or Limes??? I’m pretty sure they are all lemons, but most “lemons” in Zambia are green. In fact, some stores have a small little barrel with “yellow lemons,” but generally there are loads of green lemons everywhere. It is very strange. 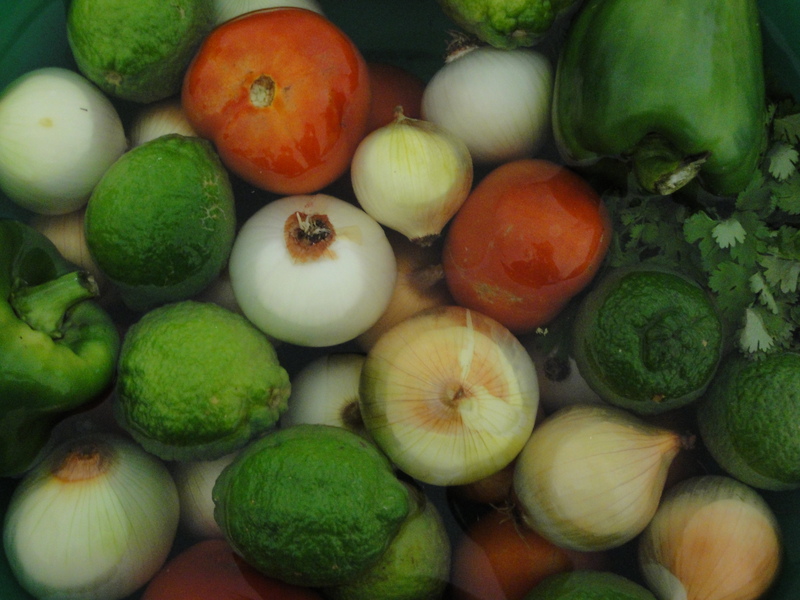 This topic of buying fruits and vegetables reminds me that produce is different here – and not only because the lemons are green. There are a number of factors that make eating fruits and vegetables in a place like Zambia risky. Diseases, like hepatitis, and parasites are pretty dangerous and cause life-altering, if not life-threatening, effects. –Wash our hands or use hand sanitizer often. (This is the #1 way to avoid traveler’s diarrhea – FYI). –Soak in bleach-water any fruits or vegetables that aren’t peel-edible (bananas, citrus – unless using the peel for zest, winter squash, etc). We soak them for at least 20 minutes, and then I usually give them a quick rinse-off in clean water to get rid of the bleach taste. –Filter our drinking and cooking water. It is definitely more work to eat like this, but we find it to be worth it. Tomorrow is Derek’s birthday, and we’re starting the day off with breakfast burritos – complete with fresh homemade salsa. Thanks to washing and soaking, we can enjoy a tasty breakfast without side effects…that is, unless those chilies that I put in the salsa were hotter than I’m expecting!